While travel trailers are excellent for campers on the move, if you have a campground that you plan on staying at for an extended period of time, it is worth considering other RVs designed specifically for extended stay camping. 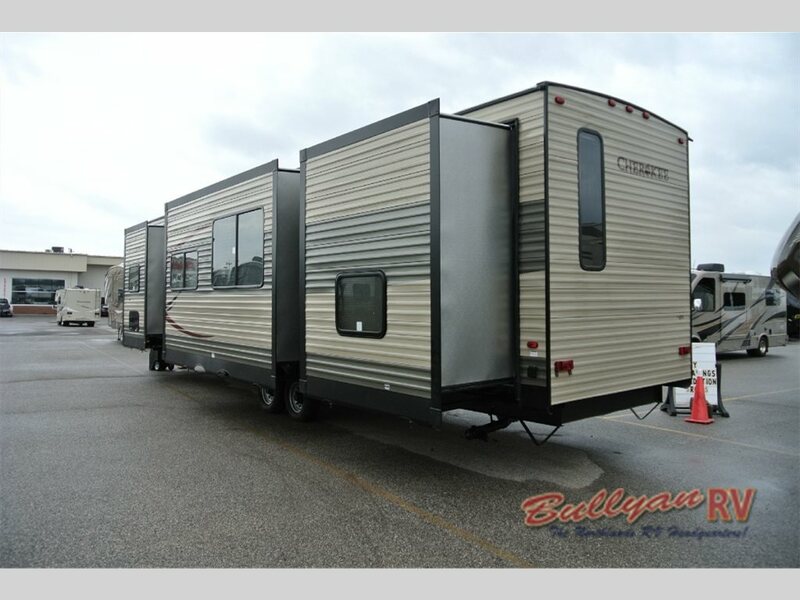 Destination Trailers are RVs designed to be easily towed and parked at a campground, RV park, or other destination for a season. 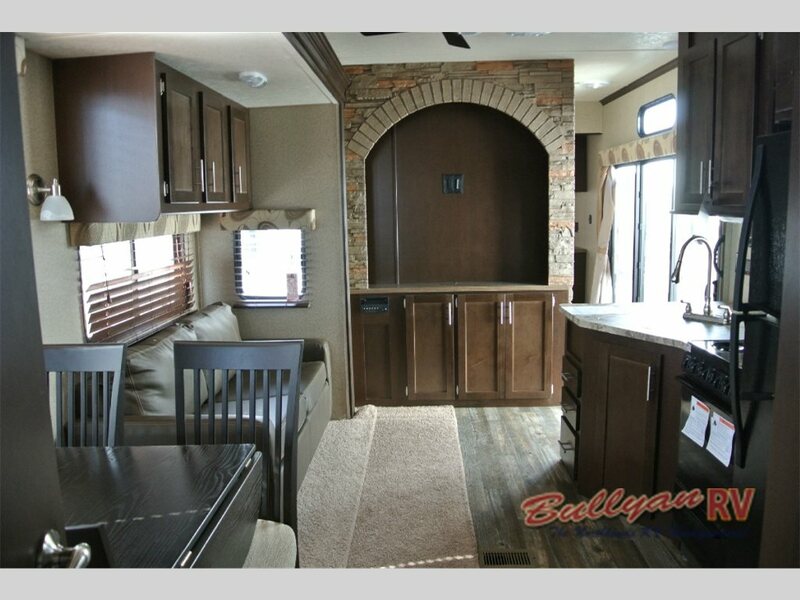 These RVs feature beautiful residential accents to make you feel right at home in comfort and luxury. Wide open kitchens with residential refrigerators, decorative stone accents, residential furniture and sliding glass doors to the outside are unique amenities that are available. One Destination Trailer that has these features and more is the Forest River Cherokee Destination Trailer. The Cherokee offers all you could want in a spacious RV home away from home at a super low clearance price. But don’t wait, the Cherokee Destination Trailer’s clearance pricing is limited to stock on hand. With features such as the majestic faux rock entertainment center, high gloss seamless counter tops, residential refrigerator, wood blinds, comfortable seating, plenty of storage, you will be getting an incredible value for your dollar. Floorplans include a separate bunkhouse area which provides extra sleeping space for friends and family. 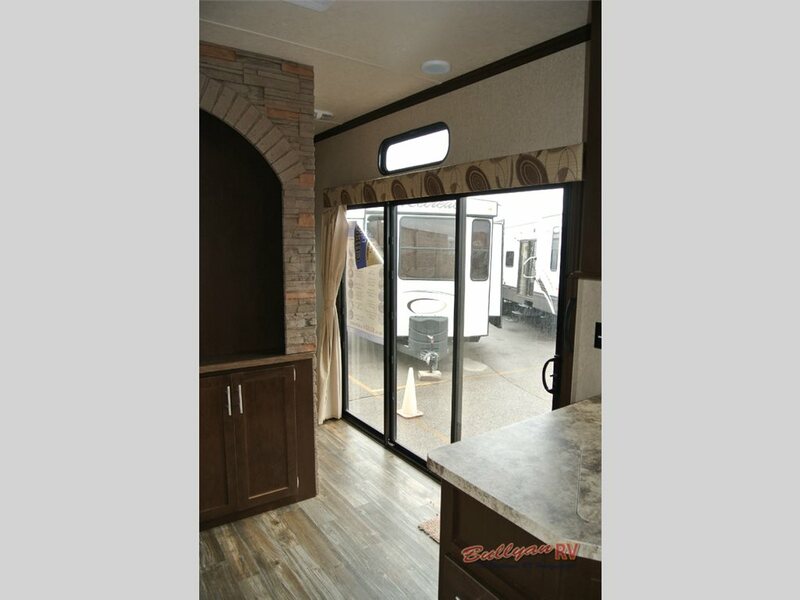 Living areas are extra spacious thanks to the multiple slide outs through out the trailer. Stretch out and relax in the great outdoors in comfort. Another attractive feature off the living area is the sliding doors, which offer a wonderful view of the outside scenery. 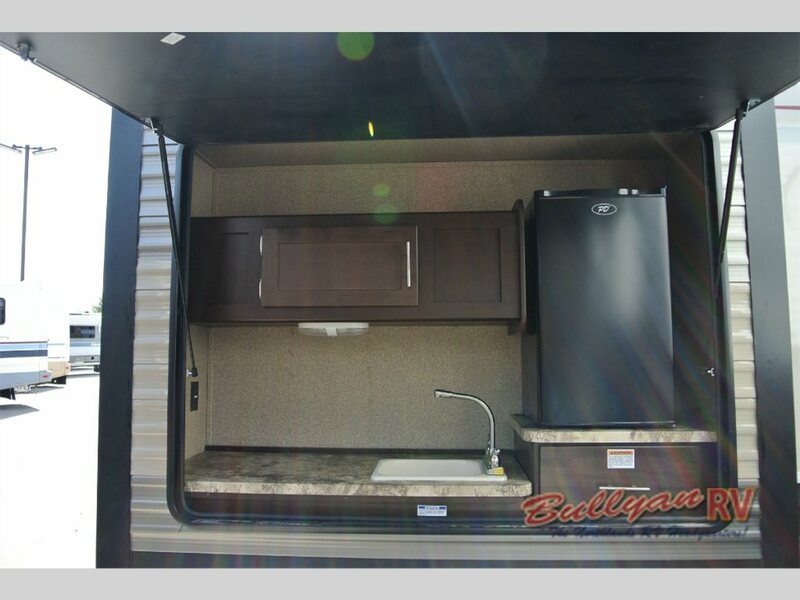 You can even bring the party outside and still have cold drinks and hot brats within an arm’s reach thanks to the outdoor kitchen as found in the Cherokee 39KR Destination Trailer. What a great way to meet your neighbors! 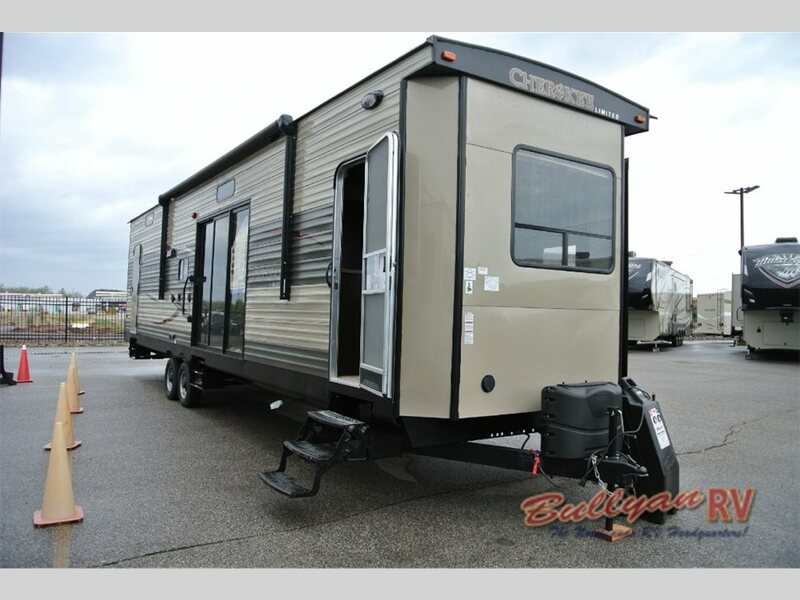 To take advantage of the Cherokee Destination Trailer’s Super Low Clearance Prices, Contact Us at Bullyan’s RV or visit us at Our Location. Be ready for spring and have your new RV ready to go when the RV parks open.